Ready to Get Rid of Sciatica? 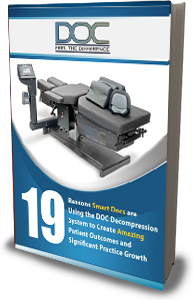 Spinal Decompression Marketing Just Got WAYYYY Easier ... and cheaper! Expensive Graphic Design Bills – We paid the graphic designer and can split it between clients so you dont have to. Expensive Content Writer Bills – We paid the writer and can split it between clients so you dont have to. 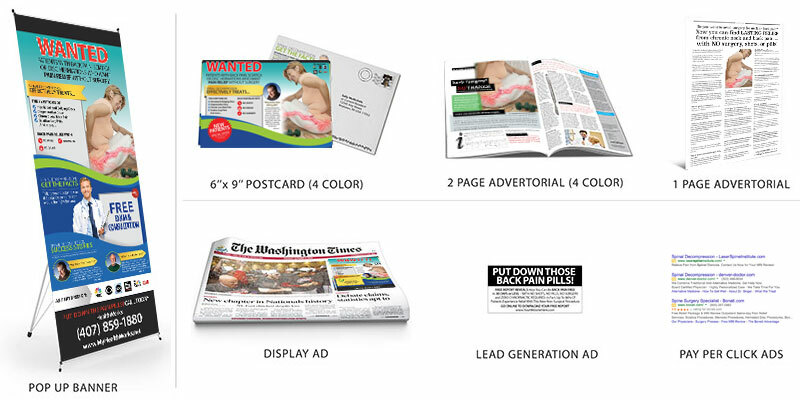 Cheesy, non-professional marketing – These pieces are professionally written and not done by chiropractors moonlighting as marketers. 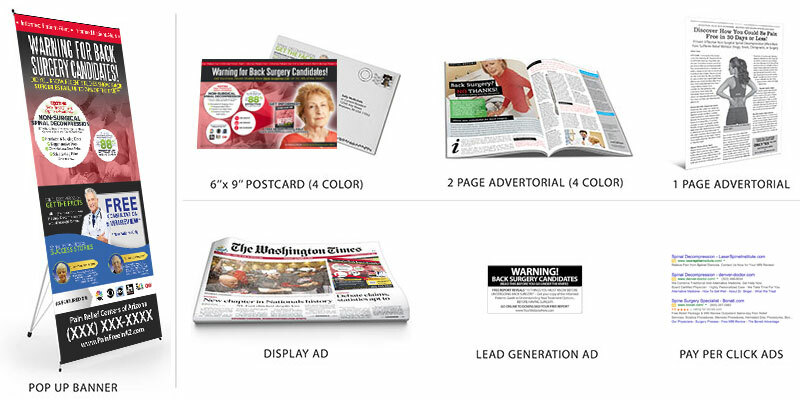 High Pressure Sales Tactics – Our marketing is low pressure, no sales and is based on research and patient education. Did we mention no sales? 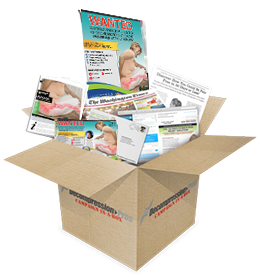 Nickled and Dimed – There are no monthly fees, no contracts, no add- ons and no shipping or other fees. If youre a Spinal Decompression Practice trying to grow your patient base, then you need to pay attention to this message. Your life is about to get significantly easier. 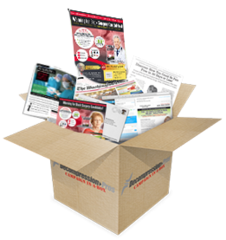 So, let me ask you a critical question: what do you think is the most common complaint we hear every day from both US and Canadian spinal decompression doctors when it comes to growing their practices?Hint: It has to do with marketing. 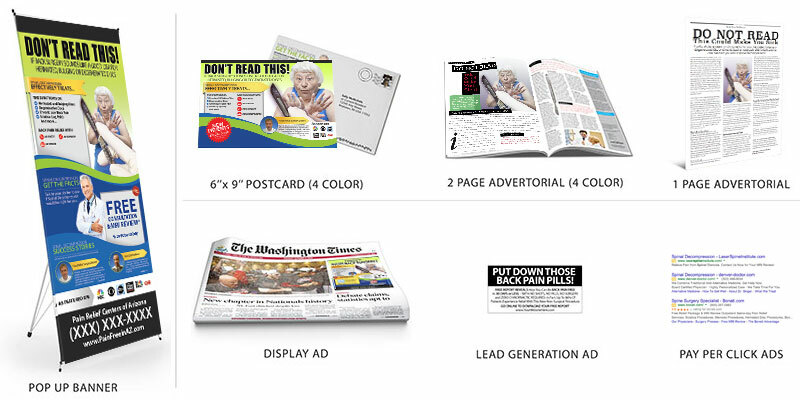 Smart doctors know they need to market, but lets face it… you werent required to take any marketing courses to get your degree and for most doctors this stuff just doesnt come naturally. So, how are you going to fix that and build a steady stream of qualified spinal decompression leads every single week and month? The traditional approach has been to hire marketing companies, but sadly, they usually create nothing but disappointment. Why? Because marketing for medical patients is A WHOLE LOT different than marketing for a used car dealer.Many of their tried and true marketing strategies JUST DONT WORK for spinal decompression clinics. And the prices they charge can be astronomical, as much a thousand dollars or more for one newspaper ad that may or may not work. That old way ALL CHANGES NOW! 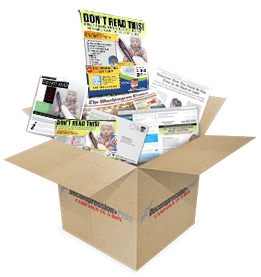 Presenting the Affordable Decompression Pros CAMPAIGN IN-A-BOX. 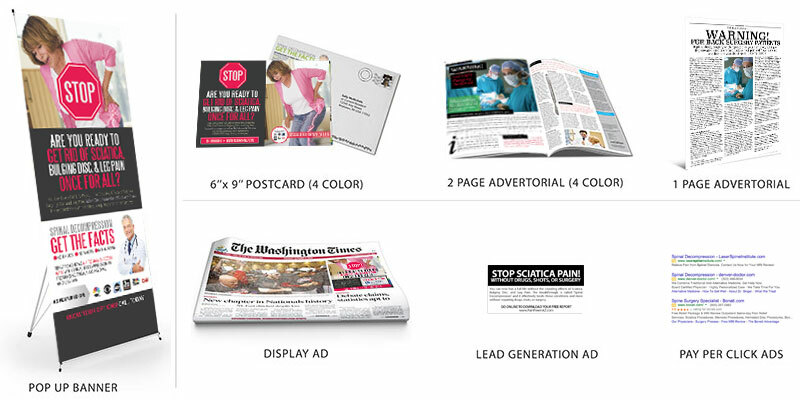 For less than price of purchasing one newspaper ad from one of our competitors you get a FULL CAMPAIGN! Something you can rotate as frequently as you need. Your marketing is like produce… it needs to be kept fresh. When this campaign starts to slow down you can simply order a new different Campaign in a Box and you are ready for a steady stream of qualified spinal decompression patients. Stop the frustrating marketing migraines! Its time to get your phone to ring with qualified spinal decompression patients so you can go back to being a doctor and not a marketing manager.